With the food supplement DOG FIT by PreThis® SHINE ensure valuable fatty acids omega 3 and Omega 6 and Omega 9, for a healthy and shed-free skin without irritation and for a firm and shiny coat. DOG FIT by PreThis® SHINE support you with a healthy skin and a shiny coat of your dog and make it health, you can see. 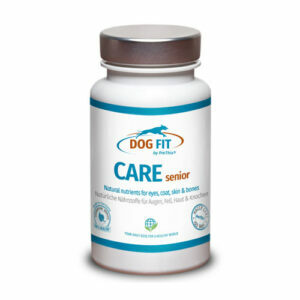 Skin and Coat are an invaluable natural barrier, the dog protects against external influences. Skin and Coat are healthy and robust, hold not only the cold and wet remote, but also protect against harmful UV radiation, injuries and much more. Unfortunately it is not self-evident that fur and skin in a sufficiently healthy condition, because stress, diseases, unbalanced nutrition or even the natural aging process shall ensure that the skin elasticity and resistance to lose and the skin is thin and oily and shine loses. Are the natural protective layers affected, missing the dog body also urgently needed protection against external influences and this is done through DOG FIT by PreThis® SHINE! 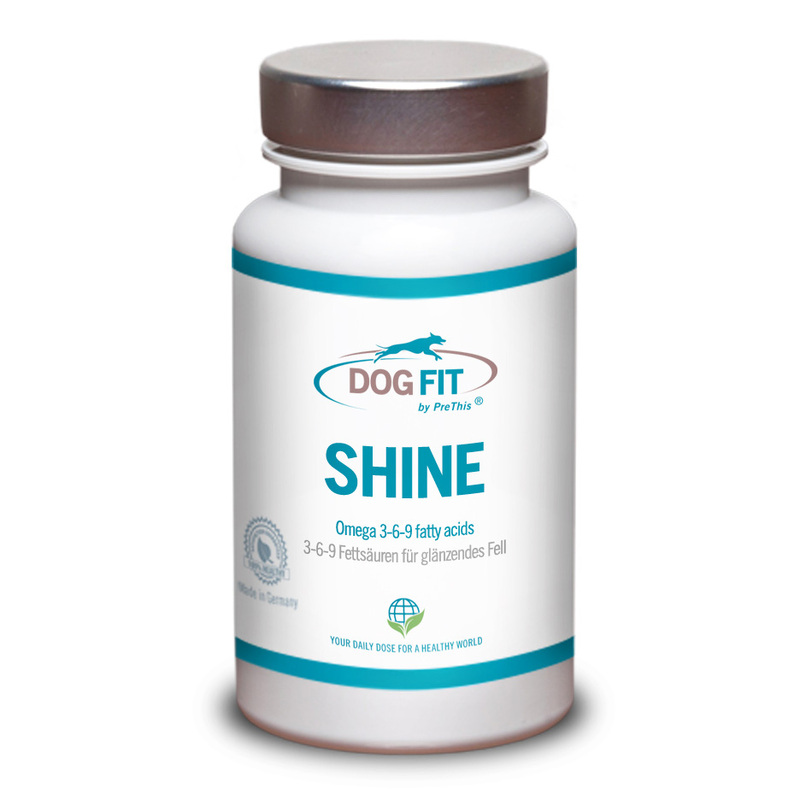 In the dog by the FIT by PreThis® SHINE contained omega-3-, omega 6 and omega 9 fatty acids obtained the skin with a perceptibly improved elasticity and resistance, the skin cells are healthy and stable. A similar fate is also the hair cells. Due to the optimal supply of valuable, unsaturated fatty acids, the fur seal and shiny grow. With DOG FIT by PreThis® SHINE are blunt, dull skin and sensitive, scaly skin is a thing of the past. It will also stimulate the wound healing and skin irritation and skin diseases can be specifically to be countered. Because the ingredients are challenging to the elasticity of the tissues and vessels impact is also a positive effect on the cardiovascular system and the holistic health of the entire organism to observe. In order to encourage the regeneration of power, DOG FIT by PreThis® SHINE curative already during the initial symptoms are administered. Due to its good compatibility, the preparation can be also easily over a longer period of time for the prevention of skin and skin problems are to be administered. Order today DOG FIT by PreThis® SHINE in the original DOG FIT Onlineshop. Ingredients: 27.4%, fish oil, 27.4% Omega-3-6-9 concentrate consisting of vegetable oils: linseed, sunflower, pumpkin seed, wheat germ, night candle, rosemary, soya lecithin and rice bran, gelatin, 13.7% Olive Oil, humectant glycerin, D-alpha tocopherol, colors titanium dioxide and iron oxides and hydroxides contains dyes. Free from milk sugar and gluten! Category: Products. Tags: fellpflege, glänzendes fell, hundefell.